Renowned as a stunning melting pot of race, religion, culture and cuisine, Malaysia offers a multicultural paradise which uses its diverse ethnicity to its full advantage through gastronomic delights, colourful festivals, stunning beaches, islands and natural attractions as well as its warm and welcoming people. Contrasting modern cities and architecture with rich history, ancient reefs and a host of beaches, mangroves and natural attractions, Malaysia is full of surprises. Whether you want to visit Malaysia in style or experience the authentic history and culture, there are a wide range of accommodation options to suit all tastes and budgets. There are plenty of modern five-star luxury hotels and resorts conveniently located in heart of the city as well as mid-range hotels with a full range of facilities as well as affordable backpacker-style budget hotels. There are also a number of traditionally designed accommodation options that allow you to experience the more authentic Malaysian hospitality and way of life. The vibrant marriage of rich culture combined with striking modernisation makes Malaysia a well-loved holiday destination. Its attractions are as diverse as the country itself and range of art galleries, discovery centres and historical museums to stunning forest reserves, animal parks and gardens as well as ornate temples and places of worship, water parks, golf and country clubs, shops and markets, zoos, theme parks, aquariums and much more. Whatever you're looking for, you'll find it in Malaysia. 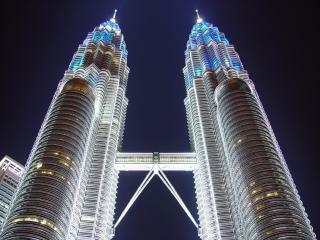 Malaysia has a tropical climate which produces mostly fine, mild weather year-round. Temperatures range from 21ºC to 32ºC however the higher elevated areas experience colder temperatures between 15°C to 25°C. Annual rainfall varies from 2,000mm to 2,500mm. Malaysia holiday packages are a convenient way to enjoy a relaxing beach holiday or discover the rich culture and history of this stunning holiday destination. Offering a fantastic range of benefits and savings, holiday packages include everything from flights and ground transfers to accommodation, activities and tours. There are an excellent range of packages available to suit everyone including relaxing beach getaways, family friendly escapes as well as high-end and upmarket options. Malaysia is comprised of 13 states and 3 federal territories, Peninsular Malaysia and East Malaysia are divided by the South China Sea. The capital Kuala Lumpur makes up part of the 11 states and 2 territories of Peninsular Malaysia while the federal territory of Labuan is located in East Malaysia. 57% of the country's population is comprised of Malays, while Chinese, Indian, Bumiputeras and other races complete the remaining population. Malaysia's time zone is eight hours ahead of GMT and 16 hours ahead of U.S Standard Time. When entering a Malaysian home it is customary to remove your shoes. It is also polite to accept any refreshments offered to you. When eating or giving or receiving objects, the right hand is always used. 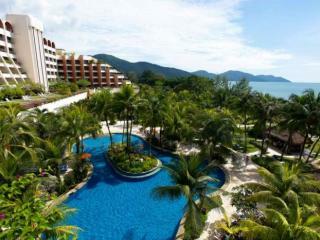 Beautiful Langkawi Deal: 40% OFF!